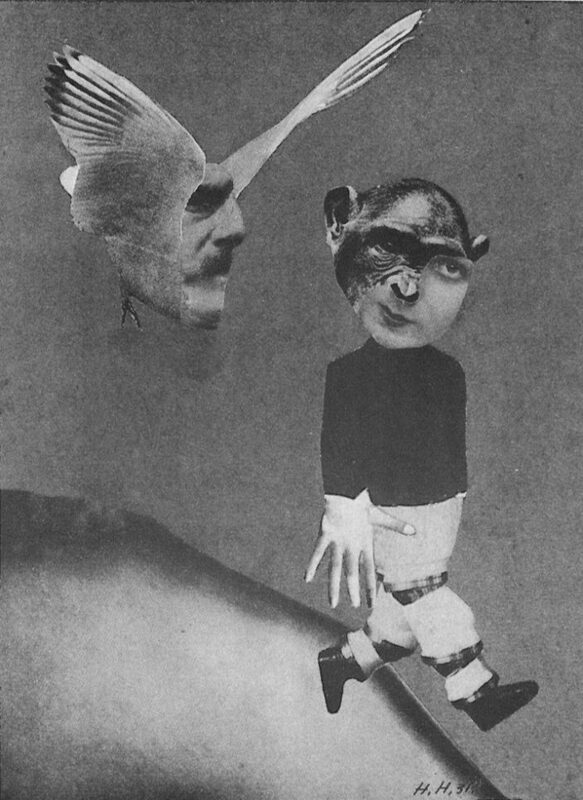 A rare collection of photomontages by Hannah Hoch, an important German artist from the Dada period. The exhibition is accompanied by a catalogue and five documentary videotapes on Hoch and her contemporaries. The new publication Cut With A Kitchen Knife: The Weimar Photomontages of Hannah Hoch by Maud Lavin will be available in the Gallery Bookstore. Organized by the Institute for Foreign Cultural Relations, Stuttgart; toured by the Goethe Institute. Supported in Vancouver by the Canada Council. 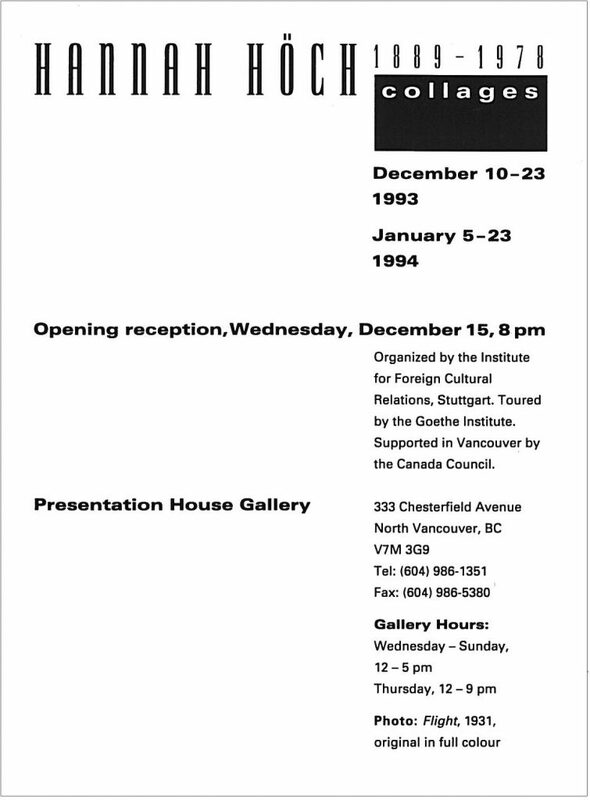 Exhibition and Collage workshops by Vancouver artist Sara Leydon. Workshops dates: Saturday, January 15 and 22.